I hope today finds you smiling, and not taking the day too seriously! Can I confess? 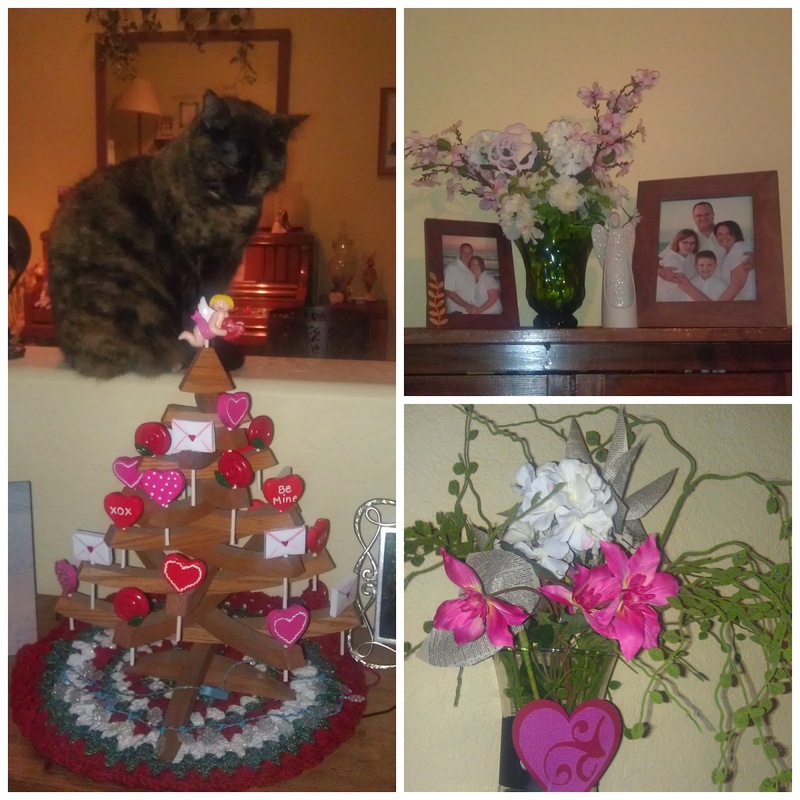 I love when the valentine decorations begin appearing... even in December!!! 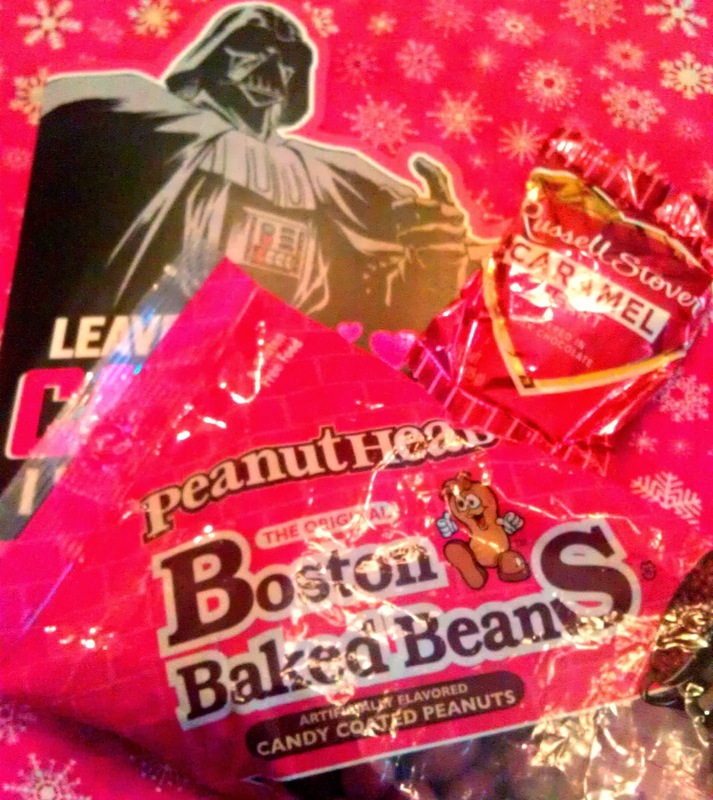 Something about the pink and red together just makes me a little giddy. Today may be a silly holiday, but any day set aside to celebrate love is a good one... love for family, for friends, for a sweetheart. I sent you a card... and I bet you won't get it today. Oh well. It will stretch out the fun! A whole week of Valentine fun! 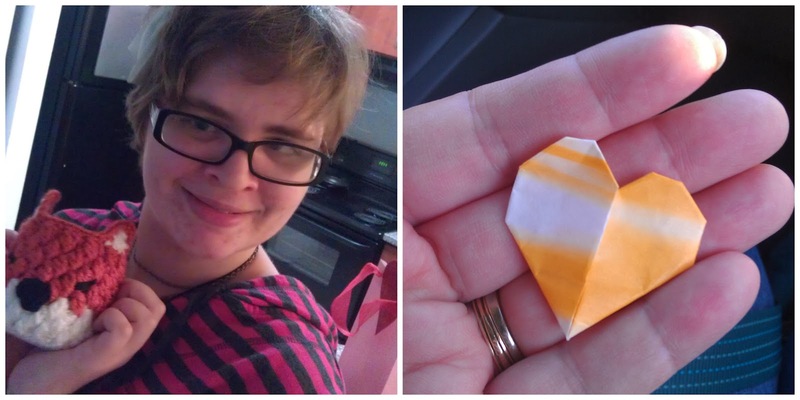 My sweetest valentine so far is the little origami heart living in the car. I see it and think of you, and our visit. I love you! I know that you would rather skip an holiday that involves l-o-v-e and hearts and pretty pink and red... and that it almost disgusts you that Dunkin' Donuts makes the Boston Cream donuts heart shaped this time of year! Someday maybe you'll change your mind, but for now, I did my best to make your sweet treat not look too lovey-dovey! I'm thrilled that I got to spend part of VD with you. I'm wondering about that chalk myself now….